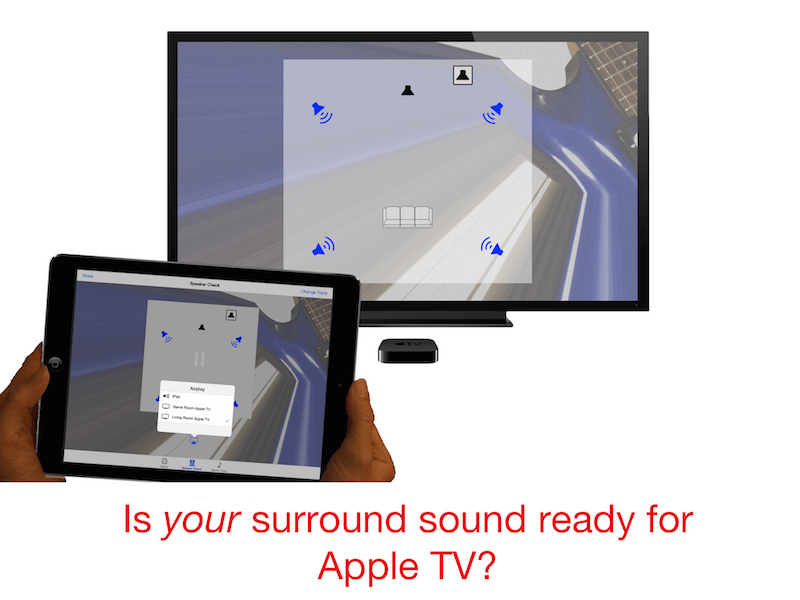 Is your surround sound ready for Apple TV? Home Theater Speaker Check uses specially produced surround sound music tracks with on-screen visual graphics to help you set up and enjoy your surround sound audio system! 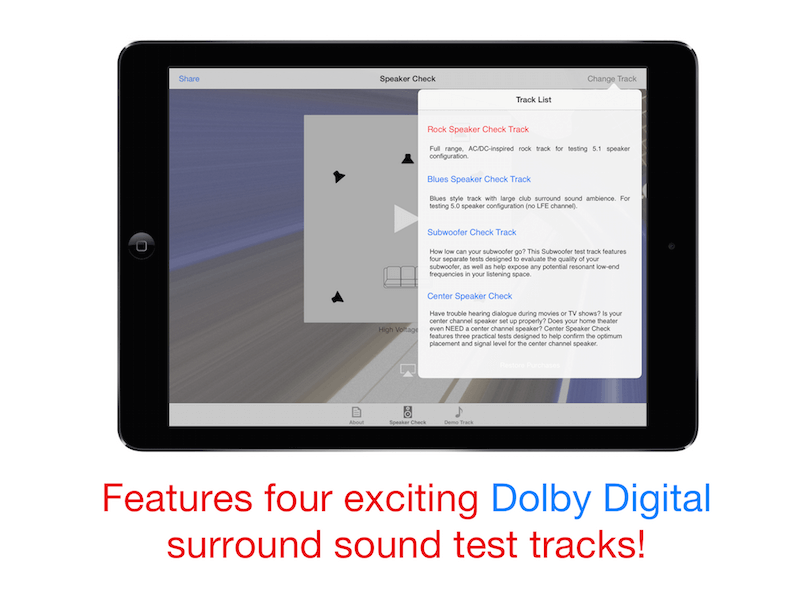 Verify your system is properly decoding Dolby Digital surround sound audio (used for iTunes HD movies). Confirm your speakers are properly wired. Hear and evaluate your surround sound speakers in isolation. 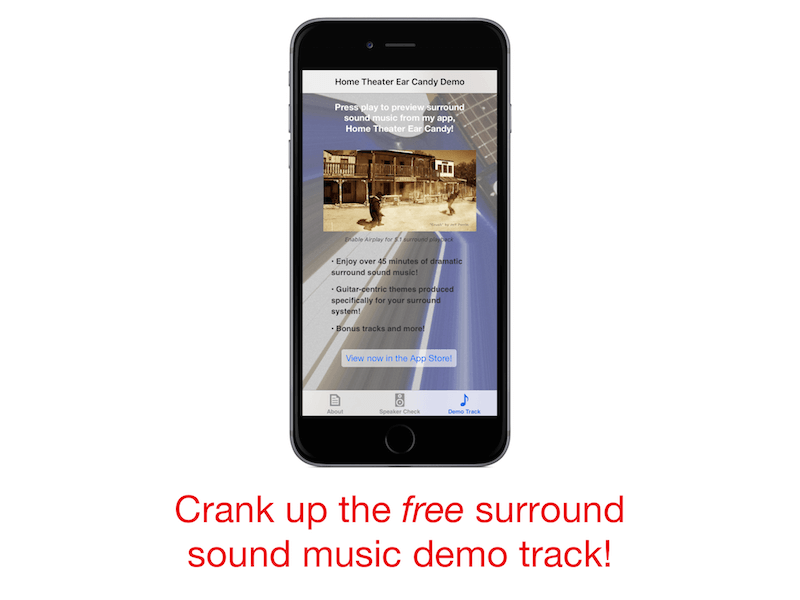 Sample demo tracks from Home Theater Ear Candy, the world's first surround sound music app-album! Download for free on the Apple App Store. *"Home Theater Speaker Check" is currently limited to Apple iOS devices. 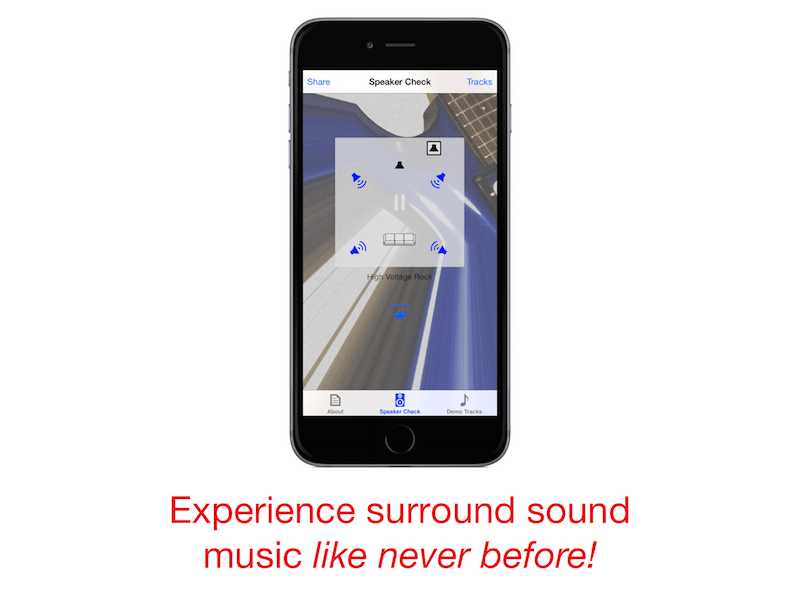 Please visit the App Store listing for specific system and surround playback requirements.